I wish it was… if I find one for sale it’ll be posted on here pretty quick (right after I buy it). 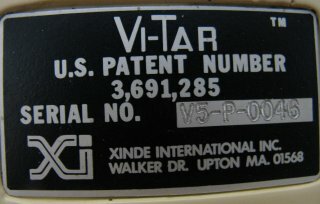 Is it possible to buy a Vitar these days? I know I’m surprised myself that none of the millions of Vitar players in the world have found this site yet! Ah well I’ve been keeping an eye on Ebay but nothing. Glad you got yours going again – I don’t take mine out as often as I’d like but when I do the rest of the band oohs and ahhs over it like it’s new and we rock it. Merry Christmas! 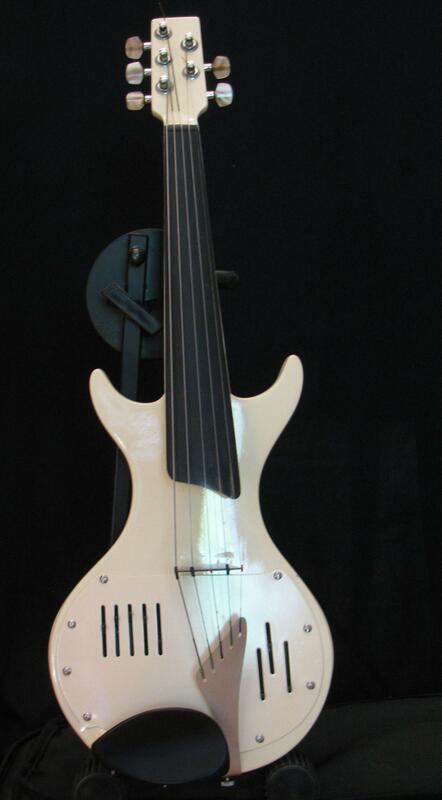 Maybe Santa will bring me a white 5 string with the gold purfling and pearloid Grovers. Mietek, that is truly a great find. I think the off white colour looks really good. Have you had the whole body resprayed, the mono colour does look good? I really wish my Vitar did not have that chrome bout, if I lived in the US I would have Mr Dalzell remove it. I did approach a local Melbourne guitar tech, and he wouldn’t touch it as he was worried he would destroy it. Anyway, the Aussie dollar is performing so well, that I will be able to come to the US personally and get the Vitar restored to it’s original beauty!